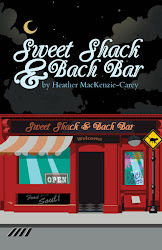 The novel is a love story set in a small Island community. Jio does a really wonderful job of setting, in my opinion. I was "on the Island", smelling the salt air, eating the food, and enjoying the wine, while I read. It's was a great stormy weekend read. 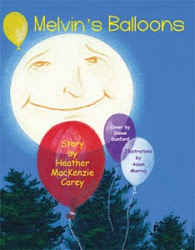 The main character in the novel is a writer and she struggles with her writing finding inspiration during the book. As I writer I really appreciate reading about that. While the reading helps me procrastinate actually writing, it does also help me feel the urge to "get at it again" . I appreciate both that gentle nudge and the peaceful distraction. In my opinion, Jio also does a good job of going back and forth between two different time periods. This isn't easy to do and often isn't done well in writing, but Sarah Jio manages this well. The main character finds a diary and through this diary discovers both past and present mysteries and heals herself in the process. Jio's novel describes how family ties, patterns, and personalities, often continue to be played out in successive generations. That's the part that "got me thinking". I think there is a soul reason for being born into the situation and family to which you enter this world. I don't think family lineage, genetics and upbringing are by accident. I think they fit into your purpose in some way or another. The "trick" may be to figure out the pattern and perpetuate what is positive and change what might be destructive and I imagine for everyone there is a bit of both. I don't think the links have to be biological. I believe the family or people that nurtured you play every bit as big a role even if you aren't genetically linked. And there is probably even more lessons in that. We can see clear evidence of family patterns in stories of abuse, alcoholism, disease, artistic talents, career tendencies and in the case of Sarah Jio's novel, partner selection, attitudes, joys and angst. We often repeat the patterns of our parents, grandparents or relations. Sometimes we inherit real gifts. The attitudes, strengths, perseverance and tenacity of your forefathers might have put you in a "advanced" state. Perhaps you inherit a successful business and continue to develop it to great heights. Maybe you follow the restless pattern of movement your parents or grandparents had and end up setting down roots somewhere far away from where your family began. It can take a long time for seeds to grow to fruition and I think it's often important for family members to keep watering the seeds, and nurturing the roots so that huge growth can be achieved over several generations. Sometimes we inherit more difficult lessons. Perhaps we are born into families with difficulties and struggles so that we can change those patterns. By disrupting the pattern perhaps we move our entire lineage through destructive patterns and plant healthier seeds for the future. If you're feels a bit lost for direction and purpose, you might find the Bach Flower essence Wild Oat could help. http://pixiedusthealing.blogspot.com/2011/01/wild-oat-for-finding-direction.html Wild Oat can help you straighten out your goals and find your path . You might find the essence can help you sort through the lingering aspects of generations of heredity to identify what you want to keep and what you wish to change. 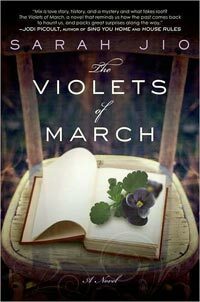 As I read The Violets of March, I also considered how helpful it might be to do a bit of digging into your ancestors. If you are lucky enough to still have your parents, grandparents or other relatives around you it might very helpful to have some deep and honest conversations. Perhaps they had a unfulfilled dream or a future goal that might just strike a cord for you. Maybe you have a shared path to some extent. Perhaps they have paved part of the road ahead for you. Perhaps you'll find out that there were some hidden or suppressed talents that might help you develop your own with confidence. Maybe they've made some mistakes that you can learn from. Wise Woman wisdom is worth every ounce. Or maybe you'd just like to snuggle down with a good read. If that's the case, enjoy The Violets of March.